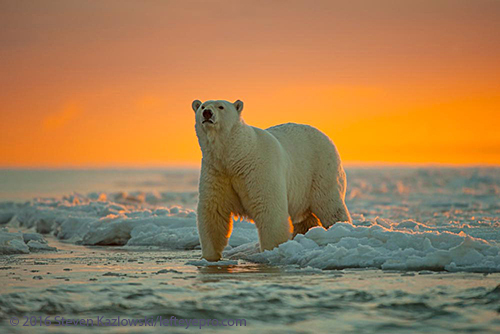 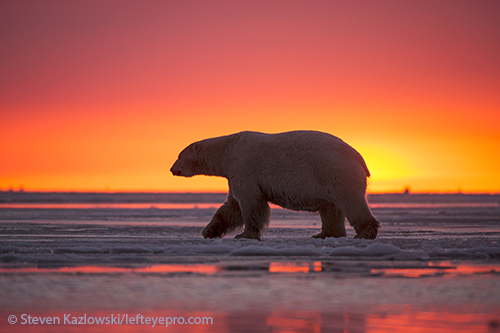 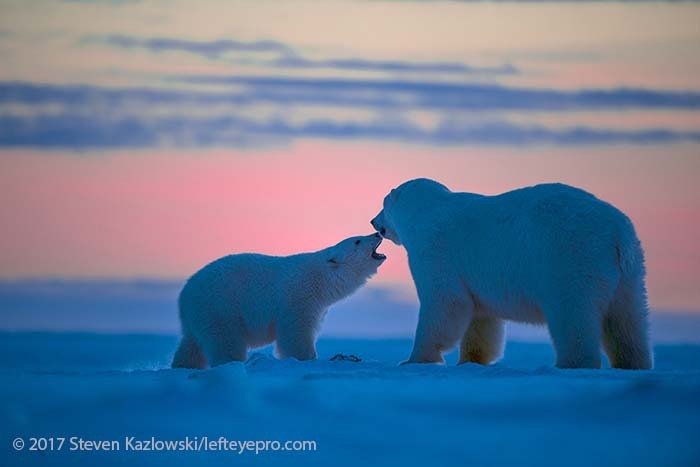 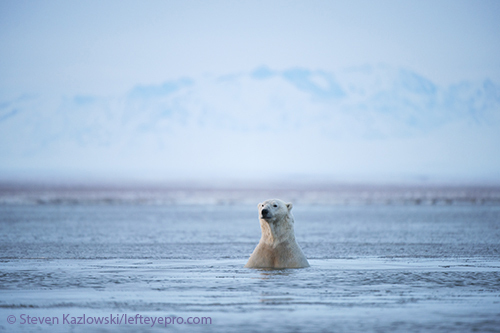 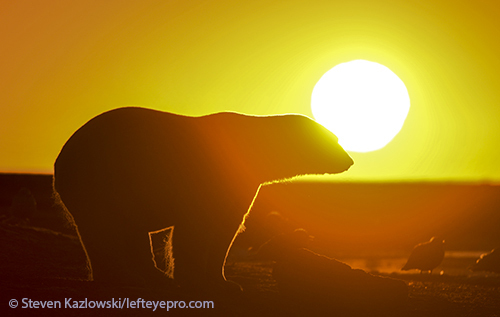 Polar bear photography tours with professional wildlife photographer. 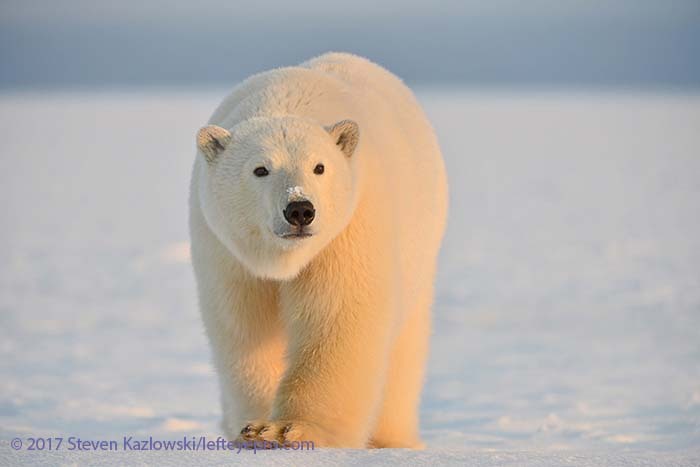 Photograph polar bears in the wild with this personalized, full package Alaskan tour! 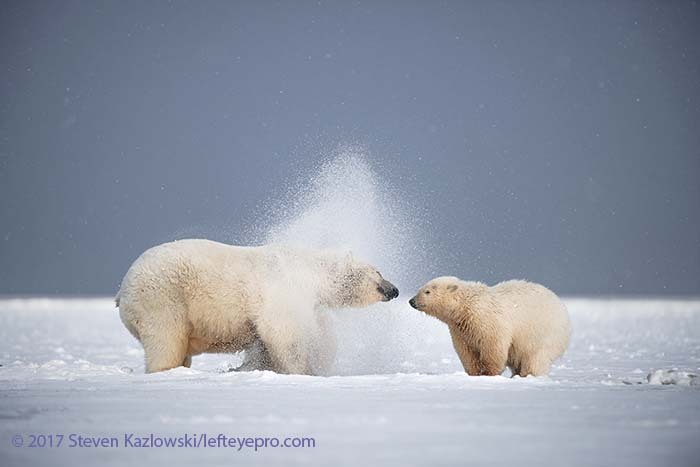 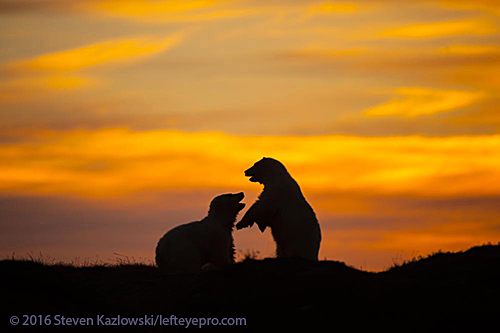 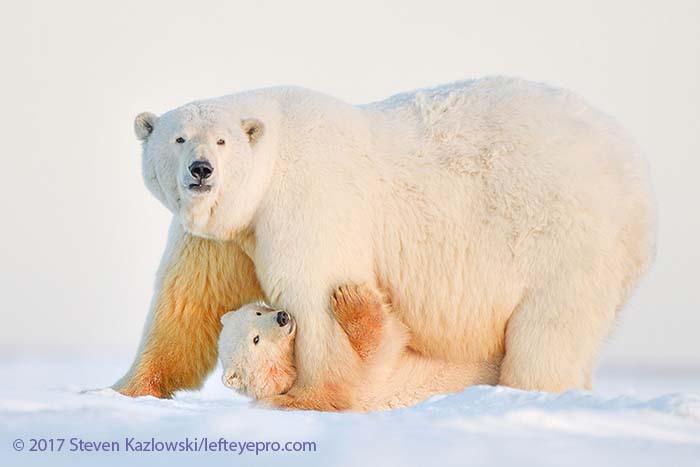 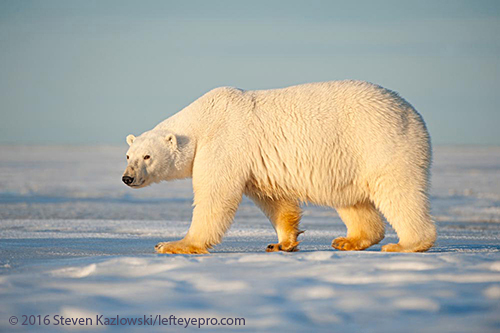 AKOOK ARCTIC ADVENTURES HAS TEAMED UP WITH professional WILDLIFE PHOTOGRAPHER STEVEN KAZLOWSKI TO OFFER POLAR BEAR PHOTOGRAPHY TOURS. 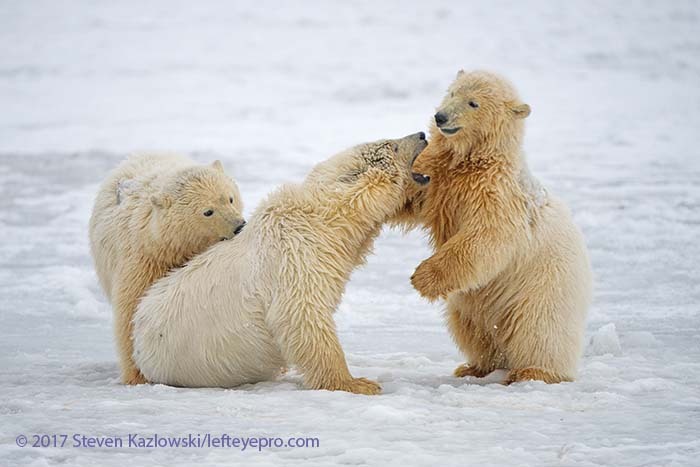 The TOUR CONSISTS OF UP TO 6 Participants. 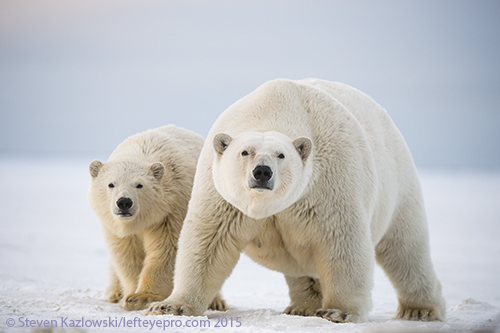 Expert wildlife photographer and guides on the boat. 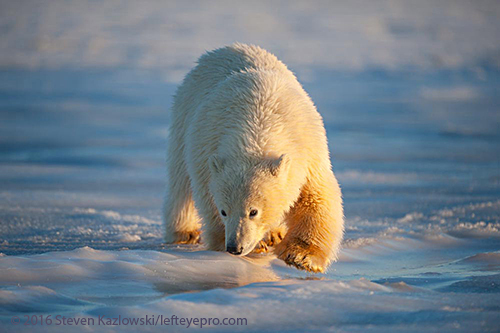 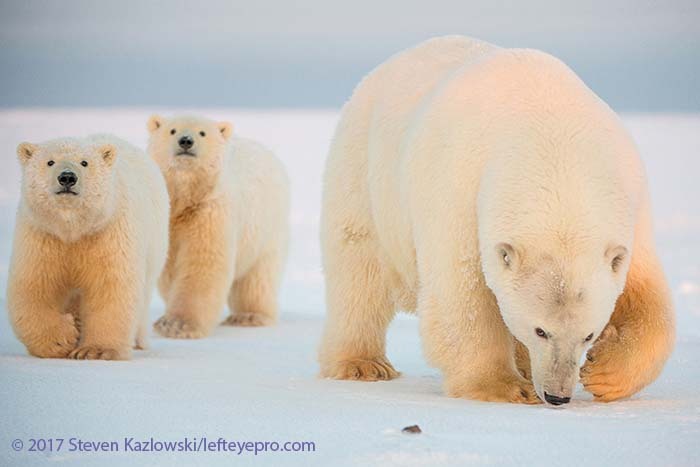 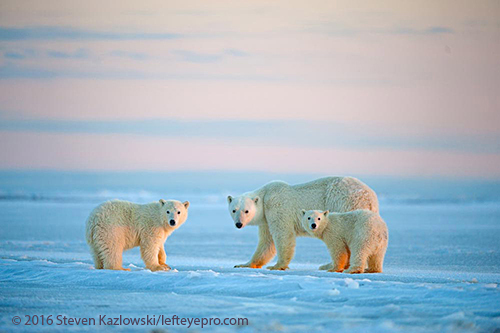 You do not need to be photographer to take one of our polar bear photography tours. 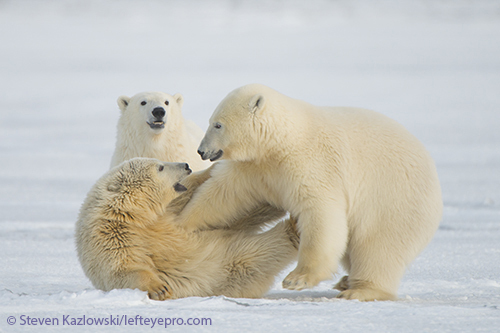 We have people who just want to spend more time with the polar bears and the time frame works best for their schedule. 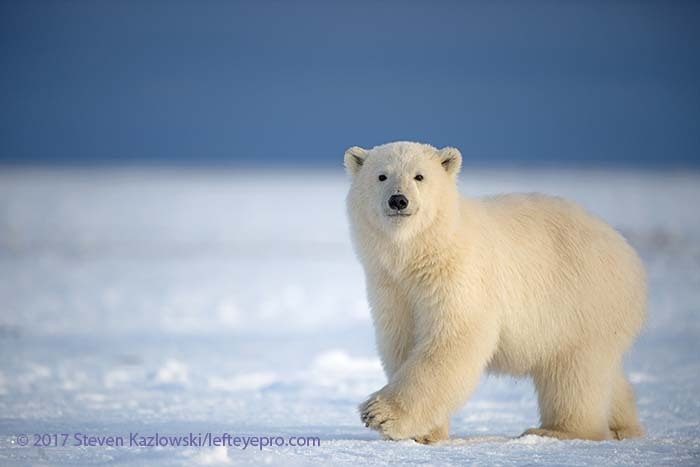 Our tours are most often a mix of professional and semi-professional photographers and general polar bear enthusiasts! 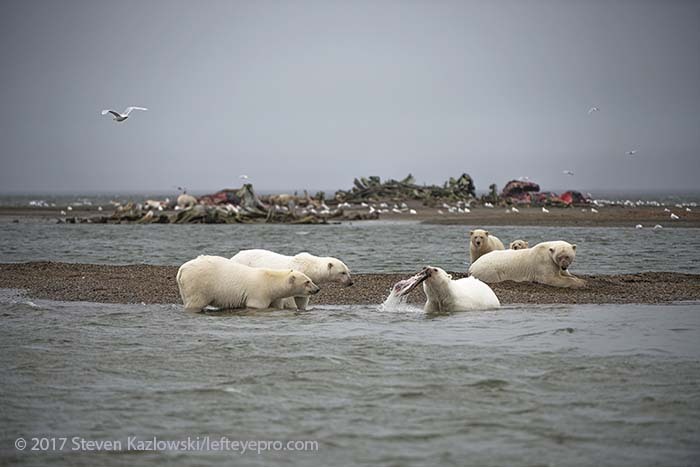 Please contact us with any questions, to check availability, and to make your reservations for our unforgettable Barter Island polar bear viewing and photography boat tours.